GAO Jie, MAO Xin-Yan, GUO Xin-Yu. 2019. Oceanologia et Limnologia Sinica, 50(2): 269-277. GAO Jie, MAO Xin-Yan, GUO Xin-Yu. 2019. 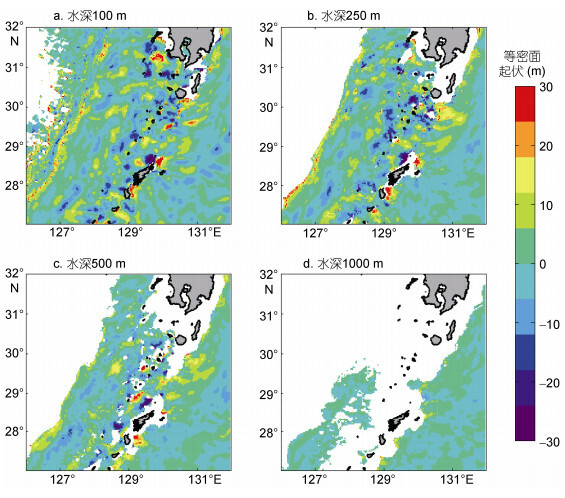 ENERGY BUDGET AND SPRING-NEAP VARIATION OF INTERNAL TIDES IN TOKARA STRAIT, JAPAN[J]. Oceanologia et Limnologia Sinica, 50(2): 269-277. 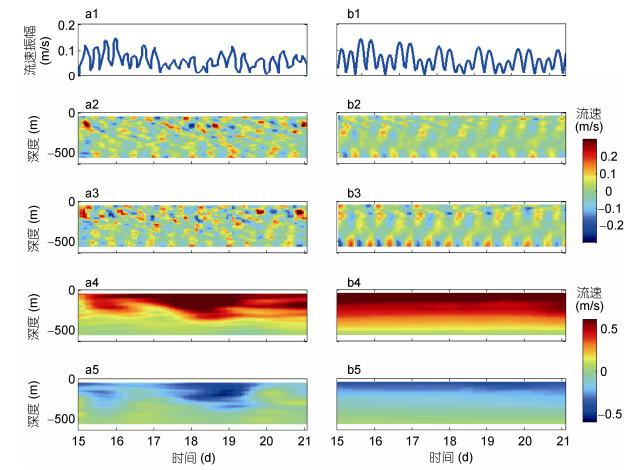 Abstract: Based on a hydrodynamic model (JCOPE-T model:Japan Coastal Ocean Predictability Experiment-Tides) in 3-km horizontal resolution, we studied the internal tides in the Tokara Strait, Japan. The strait features complex topography and stable stratification, in which significant isopycnal movement (up to 30 m) is generated. 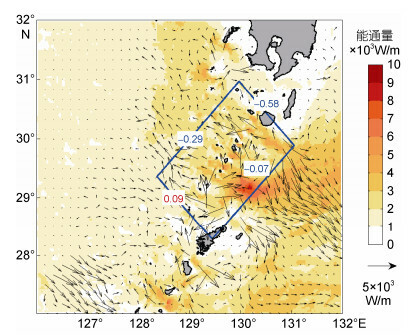 Internal tides in the strait could form up near the seamounts and islands where topography changes drastically. 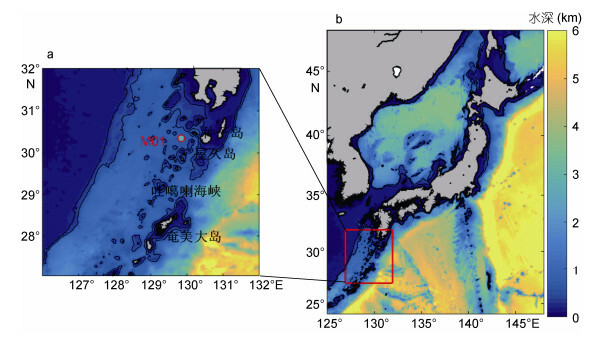 After an internal tide is generated, it would propagate outwards perpendicular to the isobaths in two directions:one goes northwestward and finally enters the shelf of the East China Sea; another moves southeastward and finally enters the Pacific Ocean. 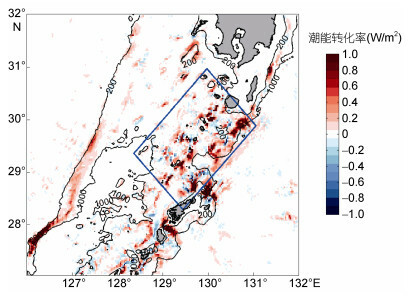 Therefore, the strait is abundant in tidal energy. 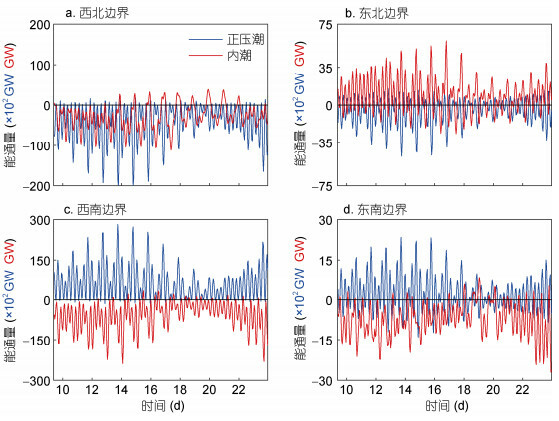 The model data averaged over-14 diurnal tidal periods show that the barotropic energy propagated into the region is 13.92 GW of which 3.73 GW is converted into internal tidal energy. About 77.2% of the internal tidal energy is dissipated locally, while the remaining part transmits mainly through the northwestern and southeastern boundaries. Both the input of the barotropic tidal energy and the conversion rate (from barotropic tides to baroclinic tides) during spring tide roughly doubled those during neap tide. 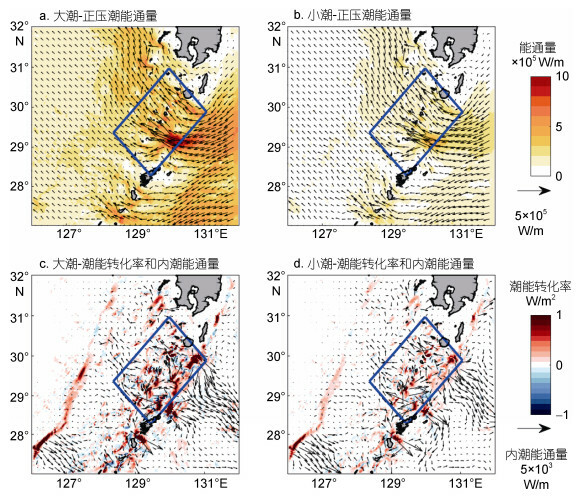 Even though, the main generation area and the propagation direction remain largely unchanged, namely, internal tides transmit mainly through the northwestern and southeastern boundaries. The dissipation rate of internal tidal energy is between 76%-79% in both neap and spring tides. 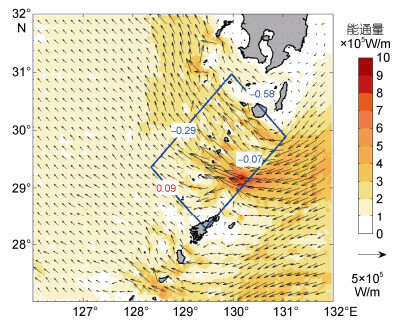 Therefore, the spring-neap tidal cycle affects only the amount of internal tidal energy generated in the Tokara Strait but does not affect the generation area, the propagation direction, and the dissipation rate.